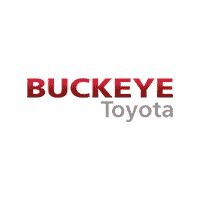 Buckeye Toyota wants to ensure you get the most enjoyment out of your vehicle. That’s why every New Toyota and most Buckeye Toyota Pre-Owned vehicles (excluding Hybrids) come with our exclusive Lifetime Powertrain Warranty. Our warranty helps take the worry and stress out of owning a vehicle. Drive away knowing you’re protected against the cost of covered breakdowns for some of your vehicle’s most important parts. Our Lifetime warranty’s coverage mirrors the car’s factory powertrain warranty except, it lasts as long as you own the vehicle. No Expiration Date or Expiration mileage. Engine – All internal lubricated parts, engine block, cylinder head(s), exhaust manifold, expansion plugs , harmonic balancer, intake manifold mounts, oil pan (excluding drain plug related failures), rotary engine rotor housing, timing belt/chain and tensioner, timing chain cover, valve cover(s), water pump, electric coolant pump, electric oil pump, diesel accessory vacuum pump, lift pump, injectors and injector pump, manufacturer-installed turbocharger(s), bypass valve(s), blow-off valve(s), intercooler and waste gate(s), manufacturer installed supercharger. Transmission (Automatic, Continuous Variable (CVT), Standard and Transfer Case) – All internal / internally lubricated parts, metal cooler lines, mounts, throttle valve cable, torque convertor, flywheel/flexplate, transmission and transfer case housing, transmission cooler, oil pan, vacuum modulator, external and internal control unit, automatic electronic clutches. Drive Axle (Front/Rear/AWD/4 Wheel Drive) – All internal lubricated parts within the drive/transaxle assembly and housing, including axles and axle bearings, constant velocity joints, drive shaft support, differential cover, hub bearings, front hub locking assemblies, drive shaft, universal joints, four wheel drive actuator. Filters, Fluids, Lubricants and Taxes – Filters, fluids, lubricants and taxes required to complete a Covered Repair for any Covered Part listed above. Seals and Gaskets – Seals and gaskets for all Covered Parts listed above when subject to a Covered Repair. Rental car coverage for when your vehicle is undergoing a covered repair up to 4 days. All new Toyota vehicles excluding Hybrids come standard with the Lifetime Warranty. Also, most of the preowned vehicles at Buckeye Toyota are covered as well. These cars must pass a strict inspection process. Is any extra maintenance required? No additional maintenance is needed, just follow the scheduled maintenance as recommended by your car’s owner’s manual. Where is the Lifetime Warranty valid? No. The Lifetime Warranty is valid only if you are the owner of the vehicle. Who is the administrator of the Lifetime Powertrain Warranty? Protective Life Insurance Company founded in 1907. They hold a A+ (Superior) Rating from A.M. Best with over 68 billion in assets.